Greens are well healed from punching. We are punched greens on 3/31/19. 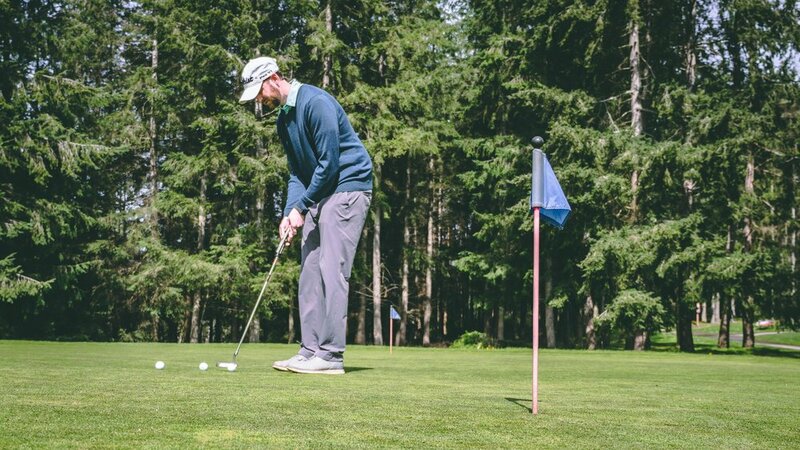 Located in beautiful Tulalip Washington, Battle Creek Golf Course is a wonderful blend of nature and golf. Just 30 minutes north of downtown Seattle and is conveniently located off of Interstate 5 in Marysville. Beautiful views of Puget Sound, Camano Island and the Olympic Mountains. This 175-acre golf facility is accessible to all golfers from beginner to expert. Our practice facility features a 400 yard driving range with target greens and an all grass tee. A practice bunker with green and a practice putting green.